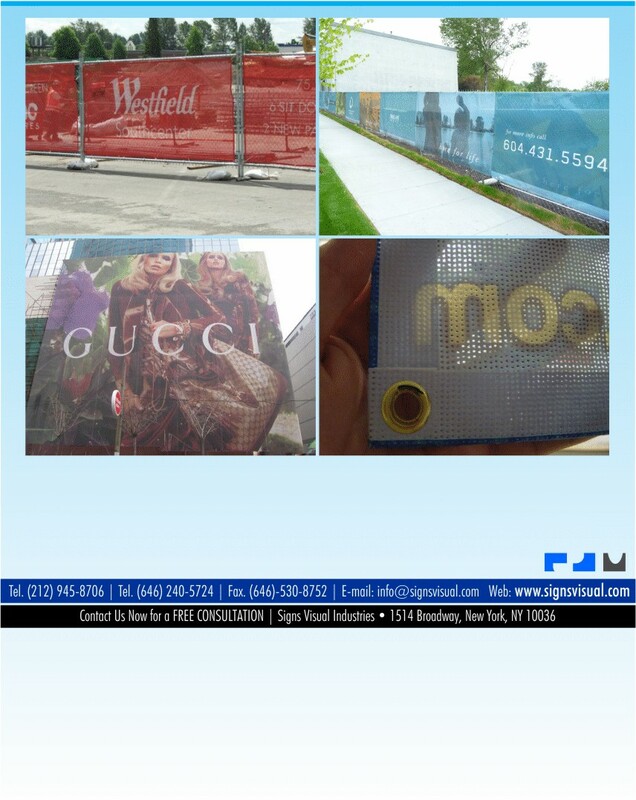 Signs Visual prints custom mesh vinyl banners in New York, NY. Our mesh banners are designed to allow visibility from both sides so as to not completely block out the surface they are covering be it a window or glass or fence or anything really. Mesh vinyl banners are typically 50 percent graphic and 50 percent perforated holes. These are great for indoor our outdoor use and are very durable. Contact us today for pricing on your next mesh banner graphics in NY.